Ark’s primary focus is on delivery of large-scale high-security suites. These typically start at 500kW or more, up to multi-MW deployments for large-scale wholesale customers. Known customers here include a joint venture with the Cabinet Office called Crown Hosting, BT Global Services, and Exponential-e. The design concept is a modular ultra-low PUE based on Bladeroom technology. Retail rack space, typically a 4kW cabinet, is also available. This is often of interest to service providers seeking to be close to the Government end users also on site. 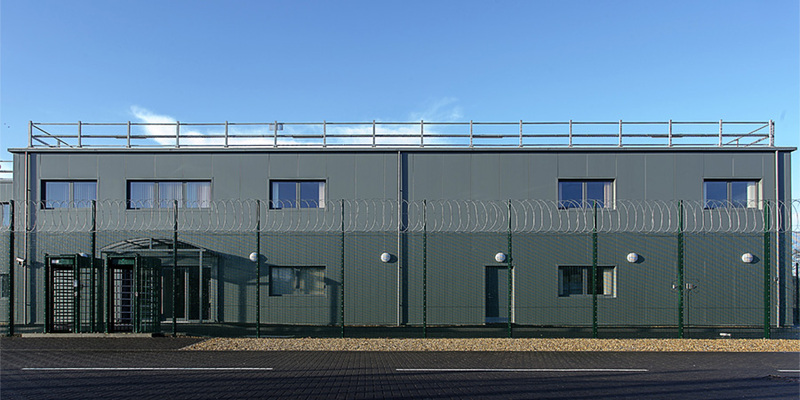 The Ark data centre campus is located next to the Cody Technology Park – the former home of Qinetiq, the defence research company. The original design for the 36 acre campus comprised three data centre buildings all within a multilayer high-security perimeter, but recent changes have increased both the density of the standard design (more power in less space) and seen further buildings brought into production such that the site will comprise 5 data centre buildings and 50MW of IT load. 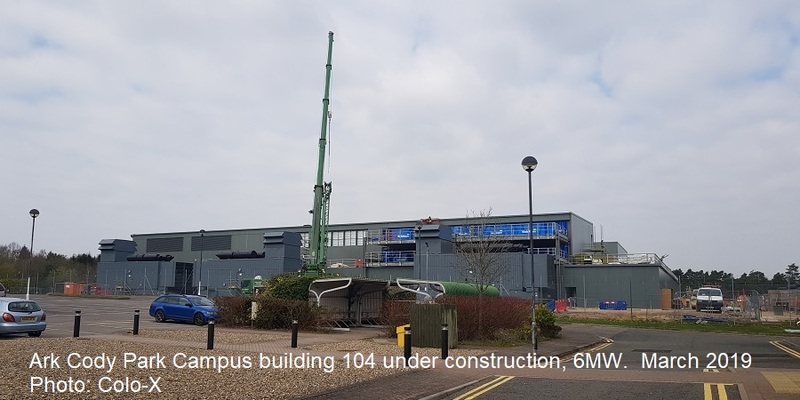 The fifth building, 105 will offer around 80,000 sq ft of IT, 18MW of IT load across 12 data halls and is under construction as of early 2019. The first data centre building, 101, is only 4.5MW and came into production in the summer of 2013. The Ark Cody Park campus benefits from 3 x 33kV power supplies from two physically diverse upstream substation to provide two diverse 60MVA power feeds, an increase from original plans of 40MVA for the site. The security focus of Ark continues to the company board, where ex-MI5 director-general Lord Evans of Weardale was appointed non-executive director in July 2015. On-site carriers include Vodafone, TalkTalk, Zayo, BT, Virgin, Interoute, SSE and Level3.